If you drive by on a Tuesday morning and see Elizabethan sword fighting on the lawn, you are no doubt watching the Shakespearean program for kids. Much Ado About Shakespeare is a professional educational program that brings the brilliance and fun of William Shakespeare’s works to students of all ages. 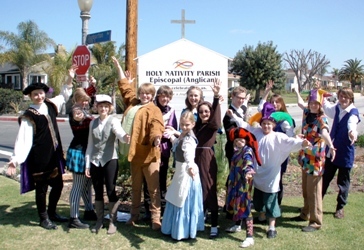 It has been providing theater programs in the Orange, Santa Barbara, Ventura, and Los Angeles county areas for thirteen years. Directed by Stuart Calof, Much Ado offers classes for children in varied performance skills with a fun rehearsal process that culminates in a grand performance for family and friends. For more information, go to muchadoaboutshakespeare.com.